Much has been made of the Australian Taxation Office’s new single touch reporting system, and not all of it is good. Malcolm Boyd on fact, fiction and the future of the publishing industry. From cyber attacks to changing legislation, Chris Sheedy looks at the top risks facing Australian businesses this year. 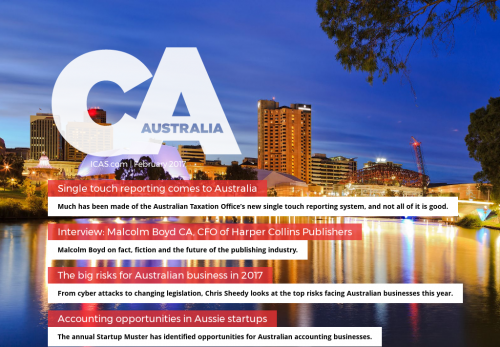 The annual Startup Muster has identified opportunities for Australian accounting businesses.